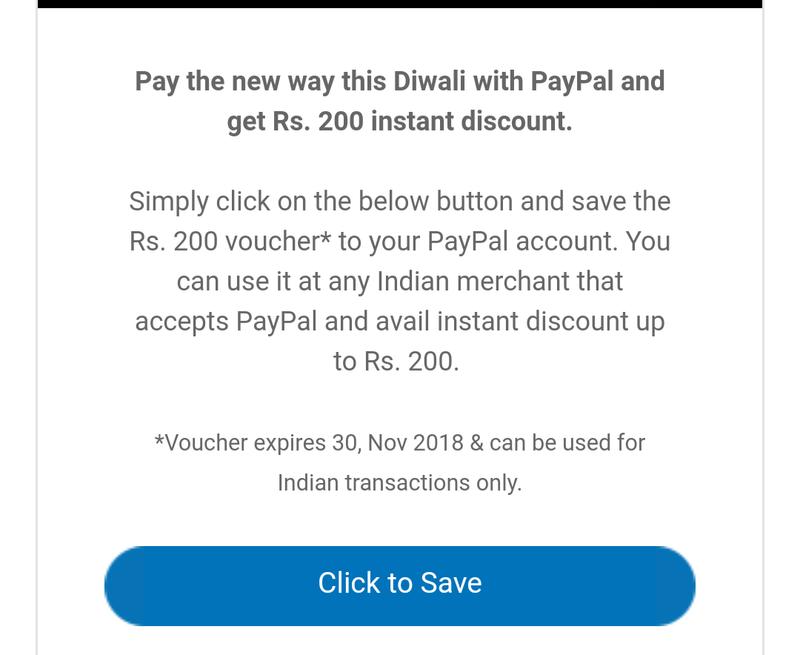 Paypal is Sending Rs 200 Voucher as Diwali Gift to All Users !! 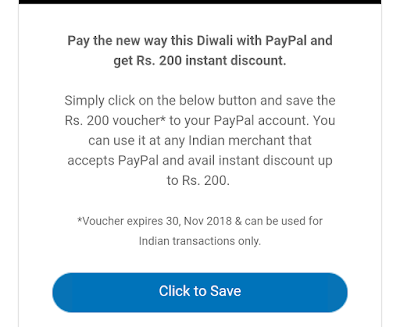 Pay the the new way this Diwali with PayPal and get Rs. 200 instant discount. Paypal are sending this email to Selected users, if you haven’t received yet, You may get in Next day too. So Keep patience !! Pay the the new way this Diwali with PayPal and get Rs. 200 instant discount. Simply click on the below button and save the Rs. 200 voucher* to your PayPal account. You can use it at any Indian merchant that accepts PayPal and avail instant discount up to Rs. 200. *Voucher expires 30, Nov 2018 & can be used for Indian transactions only.